The Society, founded in 1981, is directed by an elected board and headed by it's president, Mr. Eran Blizovsky. Other members of the board include Vice President Mr. Gidi Weisglass, Secretary General Mr. Yaron Frezy, Treasurer Mr. Hanoch Klerer, Finance Manager Mr. Michael Margalit and the Comptroller, Mr. Ronen Nachman. The president is entitled to assign additional functionaries as required, such as the website manager, a youth division coordinator, an artistic director, and others. The Society acts to promote the art of magic in Israel and holds quarterly meetings, an annual convention and a national competition, workshops, and is involved is various voluntary activities, runs an active website and chat forum and manages the youth division along with many more activities. Since 1981, the Society operates as a fellowship and is a member of FISM, the International Federation of Magic Societies, which holds the World Magic Competition once every three years. All member magicians are also members of IUPA (known as EMI), the Israeli Union of Performing Artists. All administration activities are voluntary and funded by the annual membership, donations and the Holon Municipality’s support. The Society represents all magicians in Israel at public authorities, municipalities, cultural bodies and the various fellowships. Members of the Society are highly involved in community activities, especially initiating and organizing voluntary events. The Society of Magicians brings its magic to the community and encourages its members to volunteer for the community. Quarterly member gatherings in which the magicians attend lectures, performances, dealer booths and exchange information. Approximately 100 magicians meet and attend professional lectures, exchange better ideas for routines, latest magic effects or moves, and spend a long evening together. These meetings are accompanied by refreshments, magic dealer booths and more. 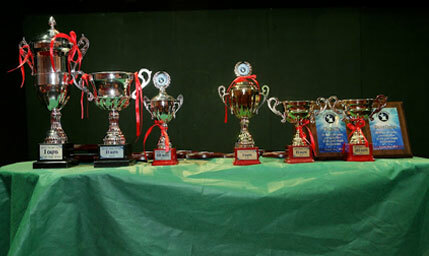 The annual convention, the peak of the Society’s activities, in which a national magician contest is held and the Israeli "Aluf" champion (Grand Prix) is selected. Lectures are given and a children’s charity magic show is held along with other gala events that are opened also to the public. Accommodating celebrated and well-known magicians from around the world. To this day, the Society hosted Juan Tamariz, Jeff Mcbride, Marc Salem, Michael Ammar, Patrick Page, Soma, the late Tommy Wonder, Bill Abbot, Syvester the Jester, El Maro, Terry Herbert, Henry Louis, Garry Kurtz, and many others. Magician workshops in various subjects such as stage and close up performances, cards, telepathy, lectures on games, medical clowning, body language, sales, marketing and more. Books and video library services, including selected scenes from the annual conventions. Member of FISM, the International Federation of Magic Societies, holding close relationships with other magicians and magician societies worldwide. Member of IUPA (known as EMI), the Israeli Union of Performing Artists. Youth division activities: junior magicians aged 10 – 17 are professionally instructed by the graduate members. The art of magic is a broad art and includes many different areas among them – the Stage Magic, including classic magic (doves and silks), Stage Illusions (David Copperfield’s style), Manipulation magic and Kid's magic. Mentalism and Mind Reading are very popular in Israel. This is an emerging field (some associated with this field define themselves as illusion or imperceivable phenomenon makers rather that magicians), the Close Up magic which is the micro magic and involves cards, coins and other miniature objects, and finally, the Street magic, the magic that ordinarily uses common and simple objects. Magicians are artists with the sole purpose of entertaining their audience. The Society encourages the magicians to be creative, innovative and professional. In addition to the knowledge of magic, the art of magic involves a variety of skills such as acting and performing, psychology, memory, misdirection, sleight of hand, reading body language, and more. All audiences love magic. Magicians perform at children and family events, which have always been very popular. A new trend has developed in recent years of performing at adult social events, corporations and at exhibitions. Many Society members are professional magicians. Some do it for a living and others as their secondary source of income. The magicians come from all sectors of society and among them physicians, computer professionals, businessmen and executives, marketing and sales people, advertisers, graphic designers, accountants, electricians, teachers, alternative healers and many more. Charity events: The Society of Magicians brings its magic to the community and encourages its members to volunteer for the community. Dahlia Pelled, president of the Society, produces and initiates an annual childrens' shows. While several commercial companies sponsor the event, the Society produces the show taking care of the necessary aspects such as the stage design, the lighting, amplification and sound systems, stage operation, transportation and refreshments for the kids and parents. The society initiates additional activities during the year, especially before the holidays. All members perform voluntarily.